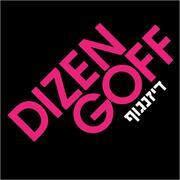 DIZENGOFF, a traditional Israeli-style hummusiya in the Rittenhouse Square neighborhood of Philadelphia, is seeking a front-of-house Server + Cashier + Food Runner! This is no ordinary serving job: you will wear many hats! Candidates must be fired-up about hospitality and providing a welcoming experience for our guests. Candidates put the guest first while paying close attention to the details. Dizengoff is a fast-paced restaurant – candidates must be able to handle high volume with an upbeat attitude, be self-motivated, and work clean while dishing up that next-level hospitality. The team at Dizengoff provides an always-fresh, satisfying meal for every slice of society. The menu at Dizengoff changes daily and with the season, centered around Middle Eastern hummus platters with a focus on vegetable toppings and fresh-baked pita made on-site in an open kitchen. Dizengoff was founded in Philadelphia in the Summer of 2014, built from the popularity and admiration for the hummus at Zahav, the pioneering Israeli restaurant from multiple James Beard Award-winning restaurateurs, Chef Michael Solomonov and Steven Cook. Over the past 10 years of Zahav, the restaurant has arguably put Israeli cooking on-the-map in the US. Sister restaurants along with Zahav include Federal Donuts, Goldie, Abe Fisher, and The Rooster, all in Philadelphia. A minimum of 1 year experience is required.